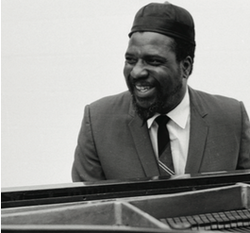 The iconic pianist, composer and bebop pioneer Thelonious Monk has been described in many words, among them eccentric, brilliant, weird, and even crazy. But droll? This story reveals a side of Monk that, I suspect, will come as a surprise to most of his fans. The story was told to me by my friend, George Gomes, a renowned director of some of advertising’s most memorable commercials (“I can’t believe I ate that whole thing!” for Alka- Seltzer, for example). The occasion was the night of the annual New York Art Directors Club Awards, a most prestigious event at which the ad industry’s creative people from all over the country gathered in New York City to have their vanities plumped and to see who the big winners would be. A perennial winner was one Arnold Varga, a wonderful art director out of the Pittsbugh office of BBDO (that’s Batten, Barton, Durstine & Osborn). As always, the talented Mr. Varga had a very successful night. Over and over again, the presenter would announce, “And the winner is, from Pittsburgh... Arnold Varga!” And each time, Arnold would mount the stage to receive his award, along with the loud and enthusiastic approval of his industry peers. Apparently a fan of the great jazz musician, Varga couldn’t pass up the opportunity to meet him, and he approached.